I love rice pudding. I have so many wonderful memories as a child when my mom would make her delicious recipe; it was creamy and warm and absolutely perfect with a sprinkling of cinnamon. When I would devour this special treat after school, I was in absolute heaven. I had a craving for this warm, comforting dessert the other night, so I went to town recreating my own version. What is particularly great about this recipe, is that is does not use any eggs, and is easily adaptable for vegans. In fact, I prefer this recipe made with vanilla almond milk, as it adds additional vanilla warmth to the sweet and creamy dessert. You can enjoy this rice pudding either warm from the oven, or chilled from the refrigerator; both ways are wonderfully creamy, yet chewy from the perfectly textured rice, and both ways are delicious. Enjoy! What was one of your favorite after school snacks as a child? Let me know below! In a saucepan, combine milk, rice, raisins, sugar and salt. Bring to a boil over medium heat, stirring frequently. Let boil about one minute. Pour milk and rice into a 1-1/2-qt. baking dish sprayed with cooking spray. Cover loosely with foil and bake at 325 degrees for 45 minutes, stirring once or twice. Add vanilla and raisins (if desired). Cover and bake for an additional 15 minutes, or until you have reached your desired creaminess. 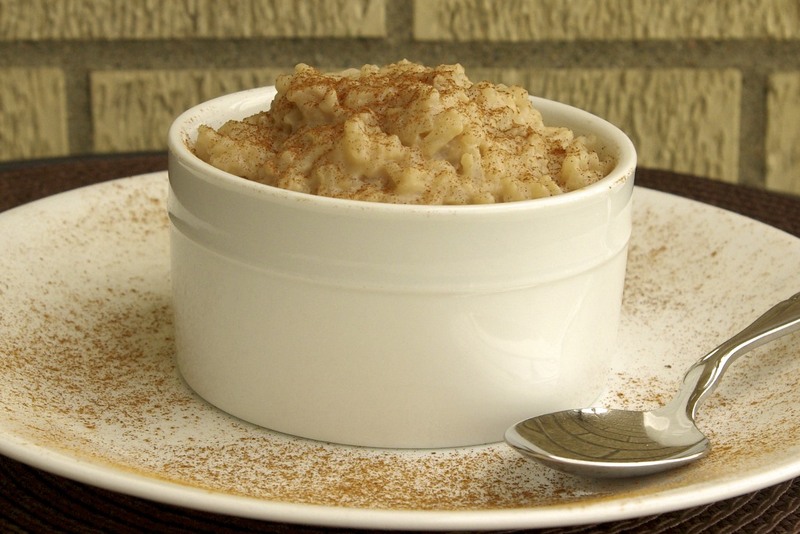 Serve warm or chilled with a sprinkling of cinnamon. Store in the refrigerator. hmmmm. I've never seen rice pudding made in the oven. I might try that because the last time I tried to make my own the rice was still to hard and not creamy enough. 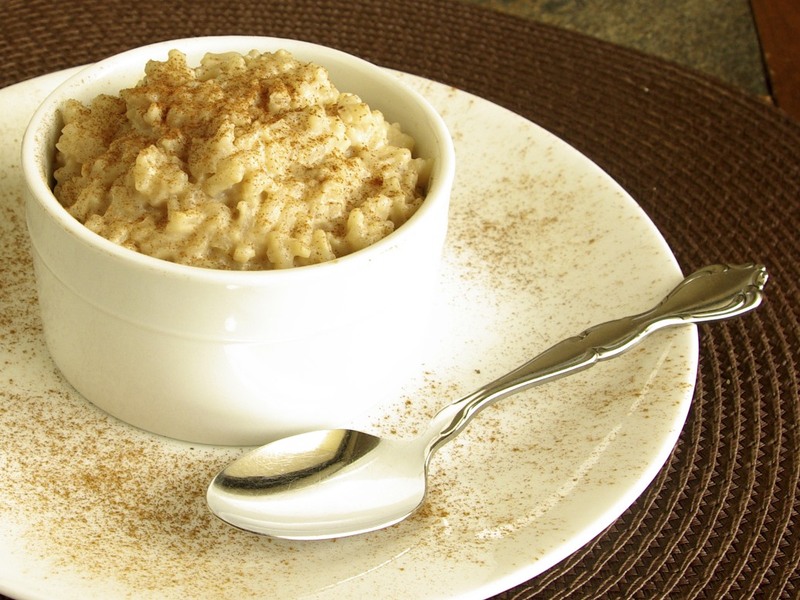 I never liked rice pudding until I was older, my favorite snack as a kid was peanut butter on toast. Peanut butter toast is awesome. My favorite toast snack as a kid was cinnamon and sugar…. who am I kidding, I still love it. Turned out great! Very creamy and sweet, I didn’t have any raisins so I used dates instead.